It is common in Thailand to collect sea turtle eggs, rear the youngsters in captivity up to a certain age, and then release them back to the ocean, hoping that bigger turtles won’t get eaten by hungry predators. The turtles are released back to the ocean during the Thai New Year, known as Songkran, during a huge ceremony. 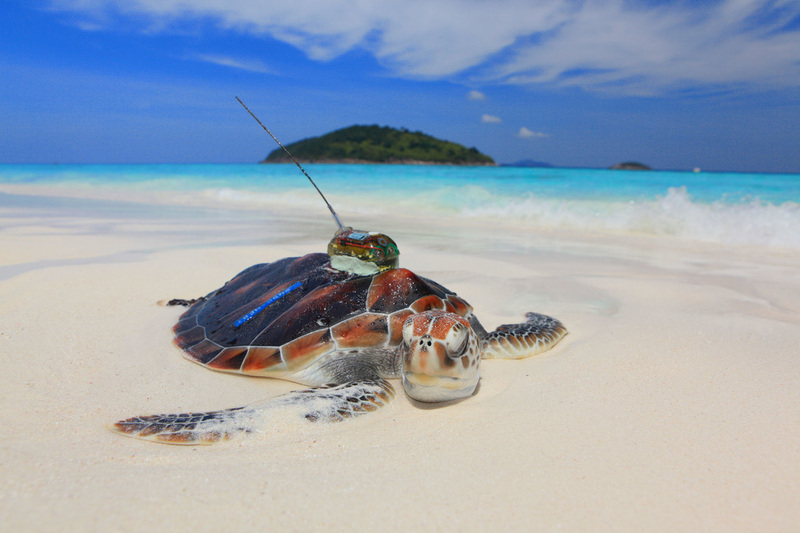 Hundreds of turtles are released every year. But what really happens to the turtles when they reach the water? The captive-raised turtles have never left their breeding tanks or even seen a live fish, so they might not necessarily do well in the ocean. Turtle Watch attached satellite tracking devices to the back of five green turtles during 2010-2011 and followed the lives and swimming routes of the turtles that were set free. All five turtles were tracked for nearly 6 months, giving promising results that the turtles actually stay alive after the release. But will they find their way back to breed as adults? 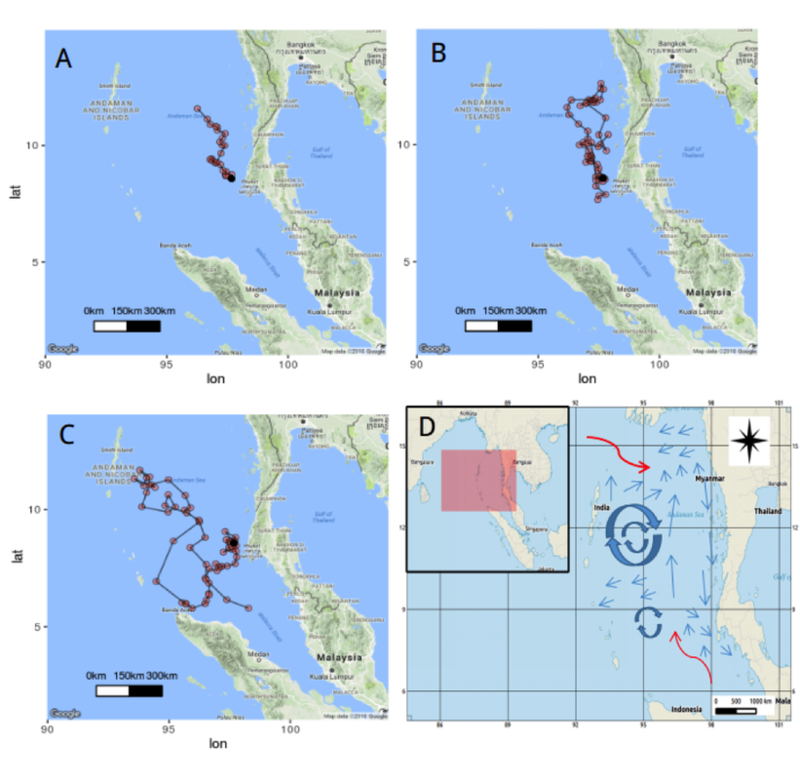 Routes of the tracked turtles in 2010 (lines A-C) and prevailing currents in the area of research. Watch our turtle release video here!